Solar Home System is a user friendly and effective light source using the sunlght to provide reliable and cost effective electricity. 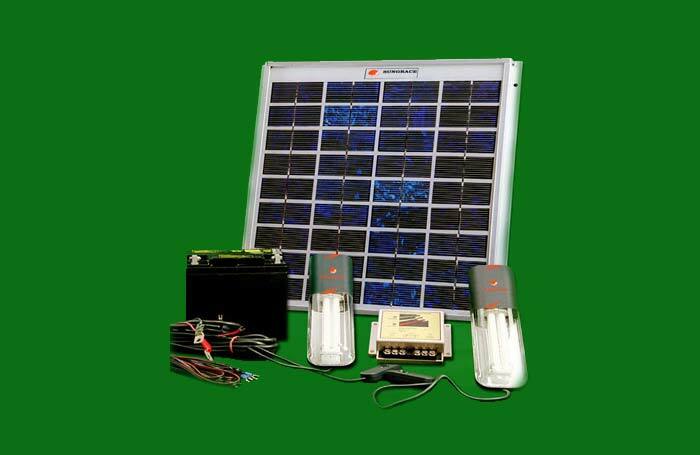 The Solar Home System is an ideal light source and a viable solution for household electrification in rural areas. The solar Home System comprises of a rugged PV module for charging the battery, a charge controller for the safe charging and discharging of the battery, 1/2/3 light units (CFL/LED Luminaries) with an efficient inverter and DC Fan.